NOTICE IS HEREBY GIVEN OF A PUBLIC HEARING BY THE DISTRICT JUDGES FOR THE PURPOSE OF SETTING SALARIES OF THE COUNTY AUDITOR, ASSISTANT AUDITORS AND COURT REPORTERS FOR FY 2019. THE HEARING WILL BE HELD IN DISTRICT COURTROOM A AT THE CALDWELL COUNTY JUSTICE CENTER, 1703 S. COLORADO, LOCKHART, TEXAS AT 11:30 A.M. THURSDAY, AUGUST 16, 2018. 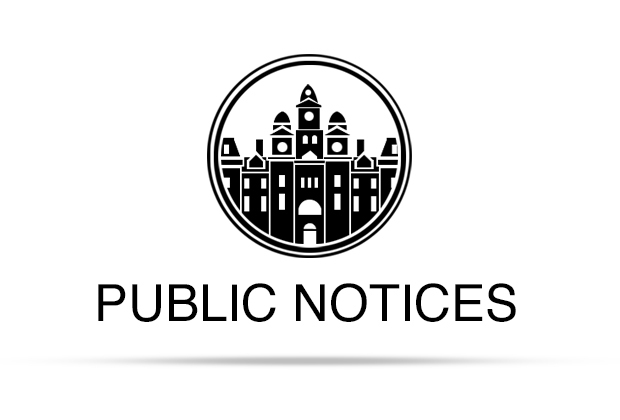 The City of Lockhart, Texas seeks proposals until 11am, August 9, 2018, from qualified licensed professional firms to perform unarmed, uniformed, state licensed security officer services at the City of Lockhart Dr. Eugene Clark Library, 217 S. Main, Lockhart, Texas. Interested qualified service providers that specialize in this type of service may request a scope of services by contacting Julie Bowermon at (512) 398-3461 during normal business hours or online at www.lockhart-tx.org. Proposals marked externally “Security Services” may be mailed to City of Lockhart P.O. Box 239, Lockhart, Tx 78644 or delivered to 308 W. San Antonio Street. Proposals not received by the specified date and time will be rejected. Proposals must provide at least 5 current references. The City of Lockhart reserves the right to reject any or all proposals. Successful company must provide insurance coverage certificates for workers’ comp and general liability naming City of Lockhart as additional insured. SE-18-01. A request by JES Development Company, Inc., on behalf of Manumit Investment Group, LLC, for a Special Exception to reduce the minimum required off-street parking from 108 spaces to 72 spaces for 48 multifamily units, as provided in Section 64-130(c)(4)(a), Chapter 64 “Zoning”, Lockhart Code of Ordinances, when housing is specifically designed and intended for use by the elderly, disabled, or other occupants typically having a lower expectation of automobile ownership and use on 6.943 acres in the Frances Berry Survey , Abstract No. 2, zoned PDD Planned Development District and located at 1925 Clear Fork Street. All interested persons owning property within 200 feet of this property who wish to state their support or opposition may do so at this Public Hearing, or they may submit a written statement to the City Planner for presentation to the Zoning Board of Adjustment at or before the time the public hearing begins. Should any person be aggrieved by the Board’s decision, a written petition for appeal stating that the decision of the Board is illegal in whole or in part and specifying the grounds of the illegality, may be presented to a court of record within ten calendar days after the minutes of the meeting are approved by Board. Pursuant to the provisions set forth in Chapter 59 of the Texas Property Code, Fogle Store and Lock will hold a public auction of property being sold to satisfy a landlord’s lien. Bids will be made for the contents of the entire unit only. Property will be sold to the highest bidder for cash only, and the highest bidder must place his lock on the unit door and take possession of the property immediately. Fogle Store and Lock shall reserve the right to reject any bids. Household Decorator Items, Boxes, and Misc. Items. Plum Creek Conservation District’s Board of Directors is seeking applicants for a staff position with the District. Currently, the District has three staff positions: an Executive Manager, an Assistant Manager and an Office Secretary. The current Executive Manager will be retiring. Plum Creek Conservation District (PCCD) is a Water Control and Improvement District, a Political Subdivision in Texas operating under provisions of the Texas Water Code. The District’s powers include those of a Groundwater Conservation District. The original purpose of the District was to carry out obligations under Agreements between the District and NRCS as the District is the primary sponsor for maintenance of 28 flood water retarding structures. When Groundwater Conservation District powers were added to PCCD the scope of its duties became much more complex. Both the Executive Manager and the Assistant Manager position require ability to interact with the District’s Board of Directors, other water professionals involved in programs like those included in the list of duties of PCCD, and for communications with the general public on matters within the duties of PCCD. Duties also include responsibility for the District’s compliance with obligations of a political subdivision that levies taxes and can involve some work in the field. The employees of the District filling each of the three positions have developed a practice of working together to accomplish the purposes and obligations of PCCD and the Board is expecting that type of working relationship will continue. Successful applicants for each position must possess ability to function as an integral part of the organizational structure. Minimum qualifications are a high school diploma with at least some college or technical training or experience related to all the operations of PCCD. Computer skills, GIS and fiscal management software knowledge, and agricultural land management experience will also be considered beneficial. Criminal Background checks will be obtained and references will be checked and consulted. Salaries and benefits associated with the position have not yet been determined by the Board. To some extent those will reflect the education, backgrounds, experiences of applicants and the position for which the applicant is selected. Applicants should state expected salary ranges based on their qualifications. Position Applications, Plum Creek Conservation District, P. O. Box 328, Lockhart, Texas 78644. Applications may also be delivered to the Plum Creek Conservation District Office at 1101 W. San Antonio St., Lockhart, Texas 78644. The Board expects to act on applications received during September 2018 at the latest. If there are questions, please call Johnie Halliburton at (512) 398-2383. (any volume and page references, unless otherwise indicated, being to the Deed Records, Caldwell County, Texas, to which instruments reference may be made for a more complete description of each respective tract.) or, upon the written request of said defendants or their attorney, a sufficient portion of the property described above shall be sold to satisfy said judgment(s), interest, penalties, and cost; and any property sold shall be subject to the right of redemption of the defendants or any person having an interest therein, to redeem the said property, or their interest therein, within the time and in the manner provided by law, and shall be subject to any other and further rights to which the defendants or anyone interested therein may be entitled, under the provisions of law. Said sale to be made by me to satisfy the judgment(s) rendered in the above styled and numbered cause(s), together with interest, penalties, and costs of suit, and the proceeds of said sales to be applied to the satisfaction thereof, and the remainder, if any, to be applied as the law directs. The Minimum Bid is the lesser of the amount awarded in the judgment plus interest and costs or the adjudged value. However, the Minimum Bid for a person owning an interest in the property or for a person who is a party to the suit (other than a taxing unit), is the aggregate amount of the judgments against the property plus all costs of suit and sale. ALL SALES SUBJECT TO CANCELLATION WITHOUT NOTICE. THERE MAY BE ADDITIONAL TAXES DUE ON THE PROPERTY WHICH HAVE BEEN ASSESSED SINCE THE DATE OF THE JUDGMENT. For more information, contact your attorney or LINEBARGER GOGGAN BLAIR & SAMPSON, LLP., attorney for plaintiffs, at 5123985550X203. Do you compulsively over eat? Overeaters Anonymous offers support. We meet Sundays at 5 pm at the Emmanuel Episcopal Church 117 N. Church Street, Lockhart. We are not a diet club, no dues or fees or church affiliated. Have a drinking problem and want help? Call us at or (512) 398-3506. Sunday: 11 a.m. & 6 p.m., Monday: Noon & 6 p.m. Tuesday: 6 p.m., Wednesday: Noon & 6 p.m., Thursday 6 p.m. Friday: Noon & 6 p.m., Saturday, 10 a.m. & 6 p.m. and at 1016 Fir Ln., Lockhart. For more information, please contact Steve (512) 517-6054 or Travis (512) 784-6940. ALCOHOLICS ANONYMOUS meets every Monday and Thursday nights at 8 p.m. at 301 S. Walnut St., Luling, 2 blocks south of HEB. Call Bill at (830) 875-6165. ADULT SEXUAL ASSAULT PROGRAM – Experience healing. Hays-Caldwell Women’s Center sponsors a support group for adults sexually abused as children. Call 512-396-3404 or 800-700-4292 for more information.